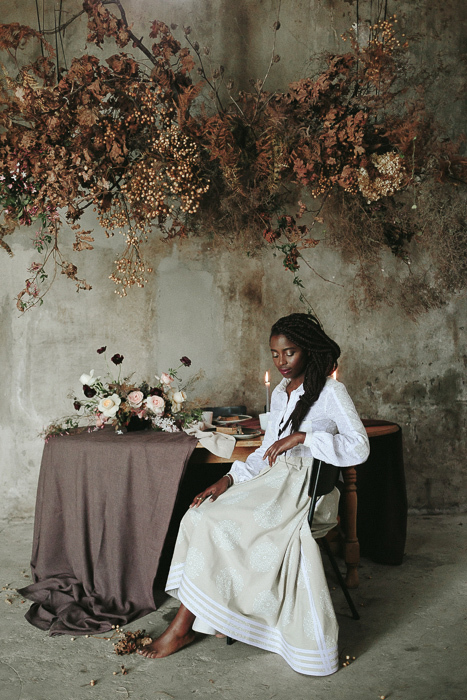 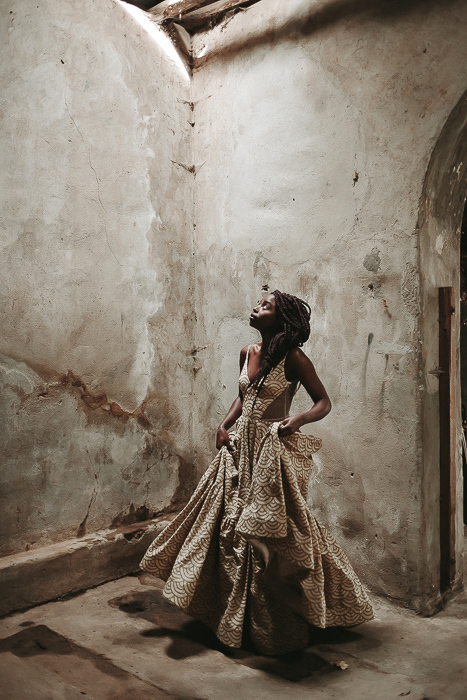 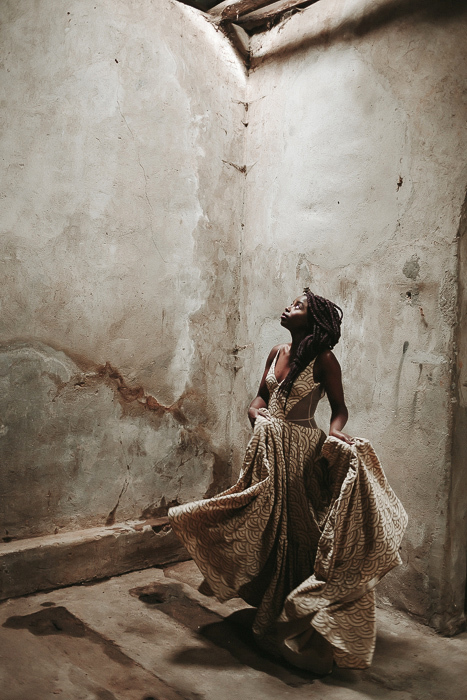 Every year I try to do an editorial that expresses my style aesthetic and I am lucky enough to have amazeballs creative friends who always say YES when I come knocking. 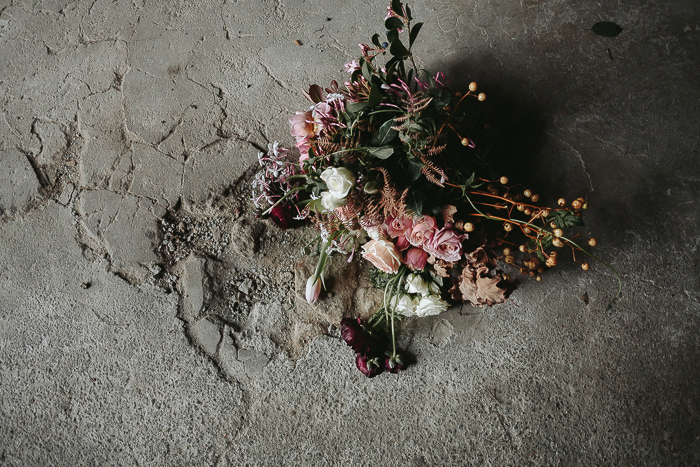 If you know me (or even just follow me on Instagram) you will know my love affair with anything dried (basically, a dead tree makes my heart skip a beat). 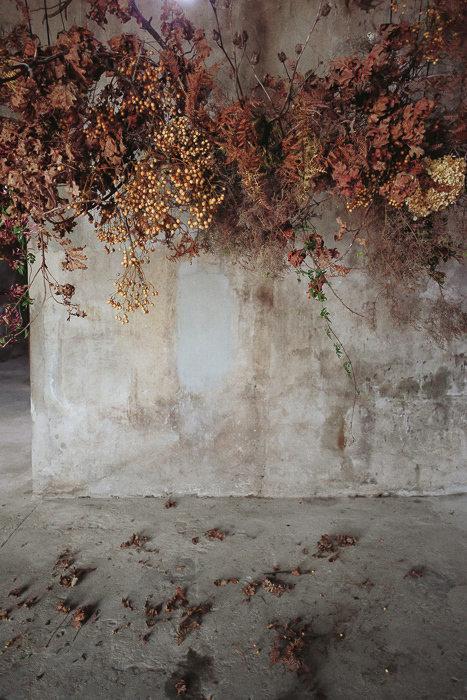 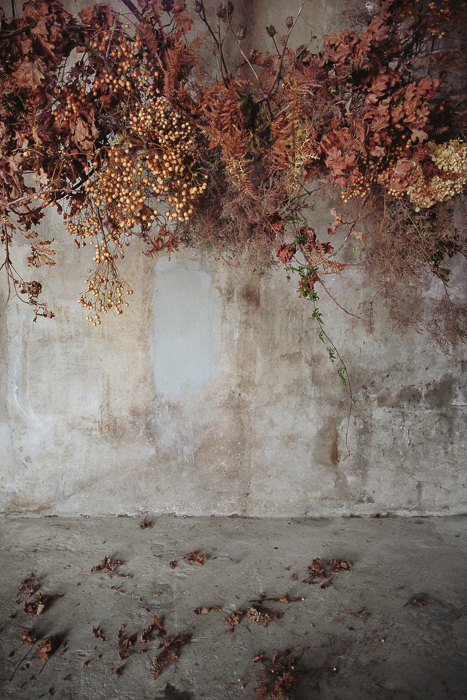 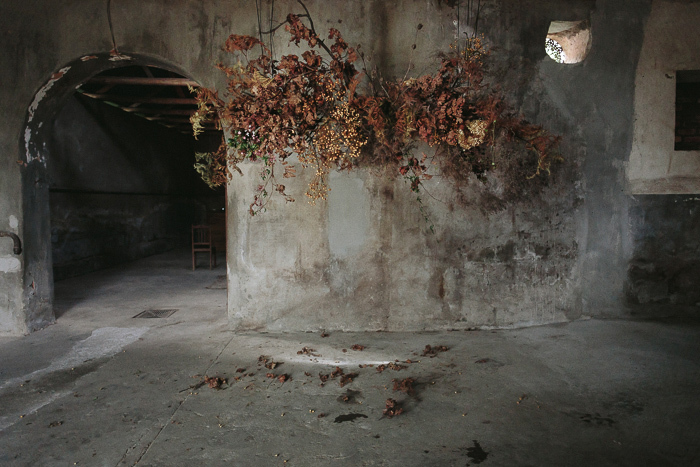 The hanging installation was built only with foraged, dried elements. 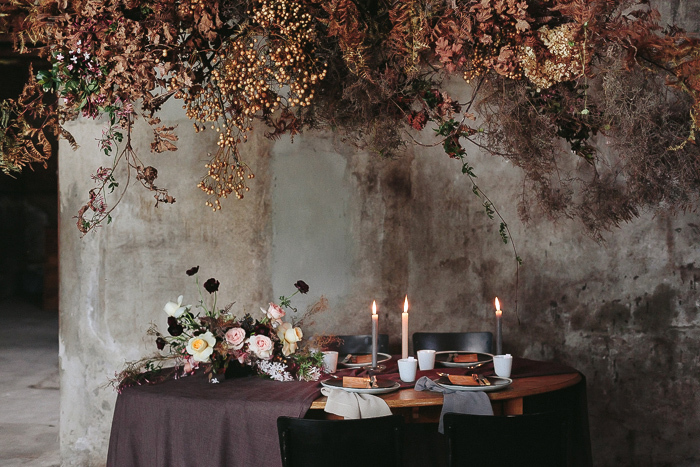 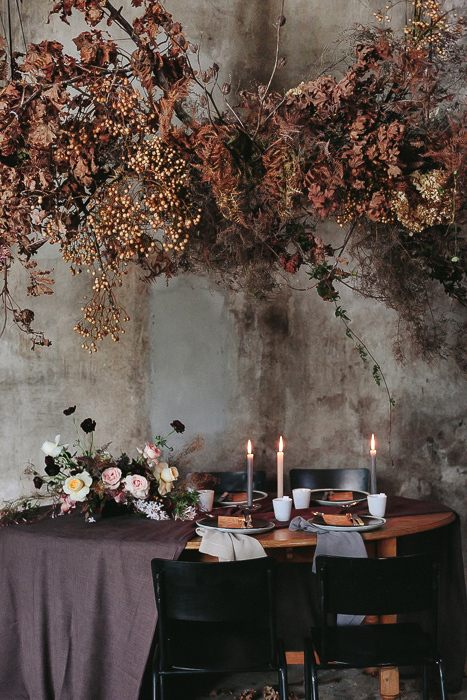 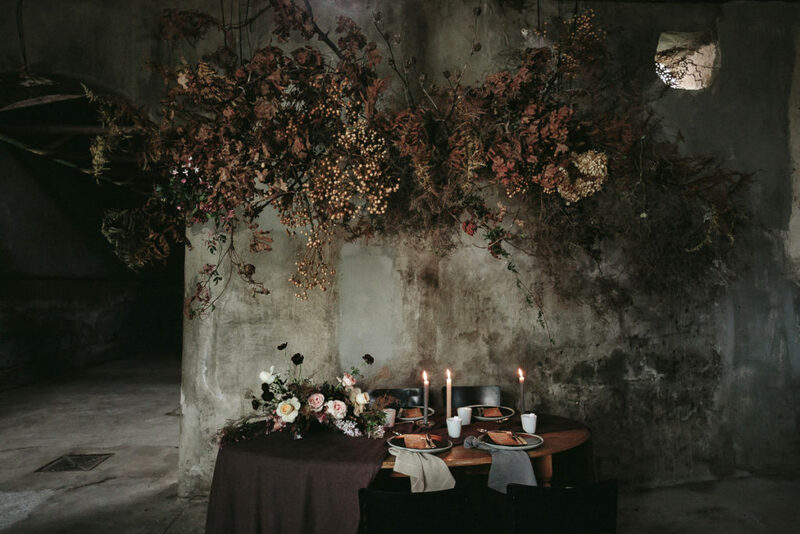 Dried fern, oak branches, slangbos, hydrangea and mustard berries were used to create an airy cloud of interesting textures. 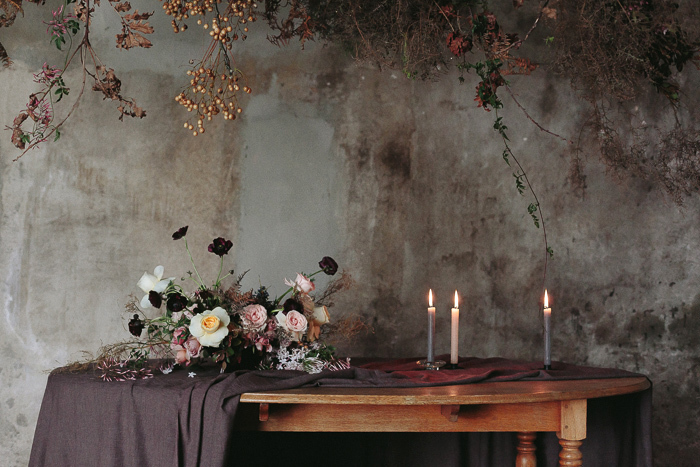 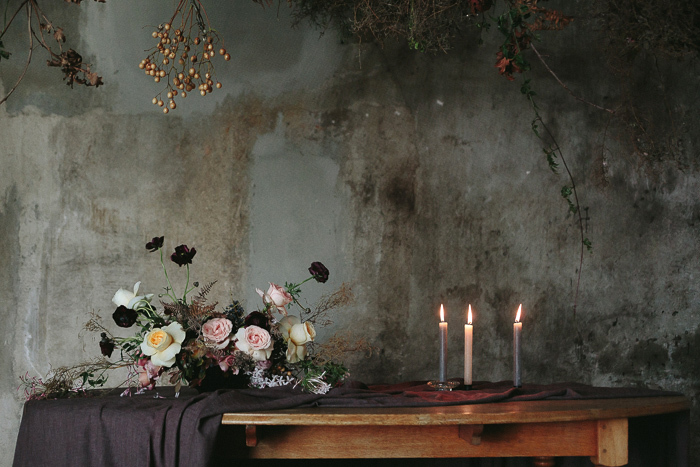 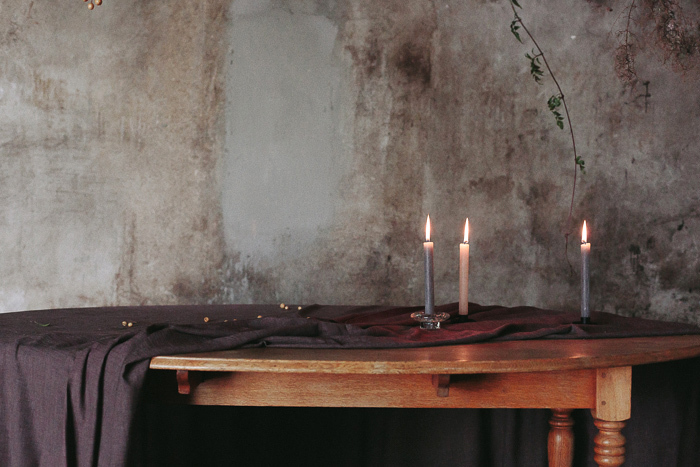 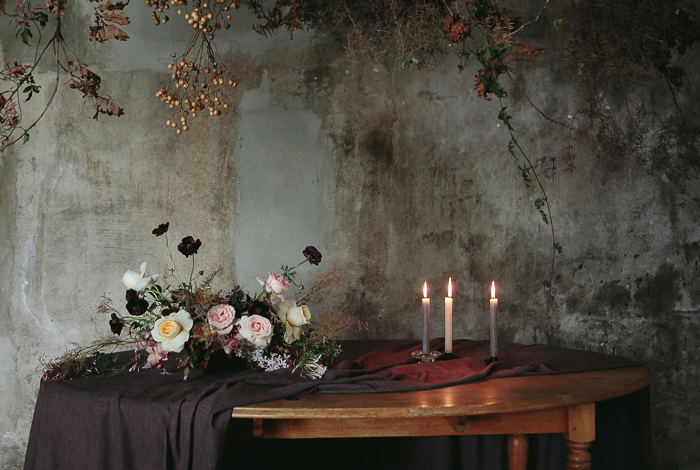 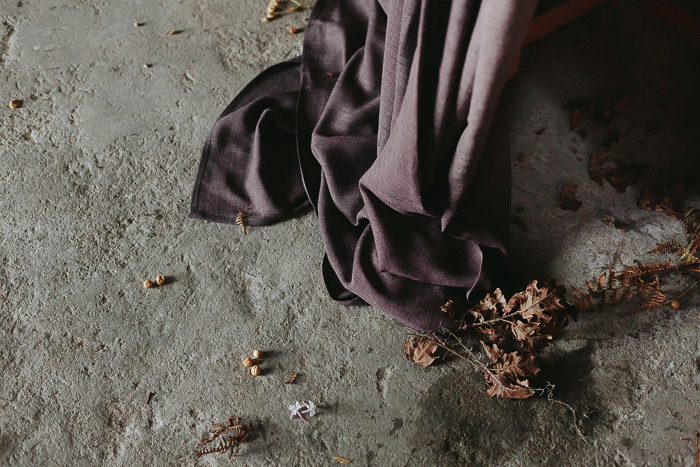 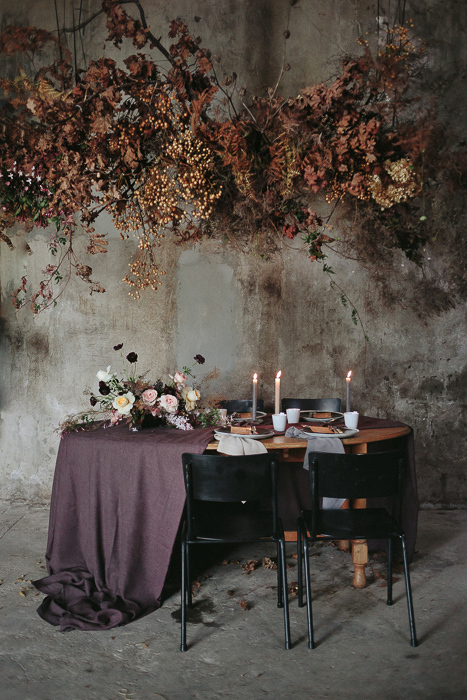 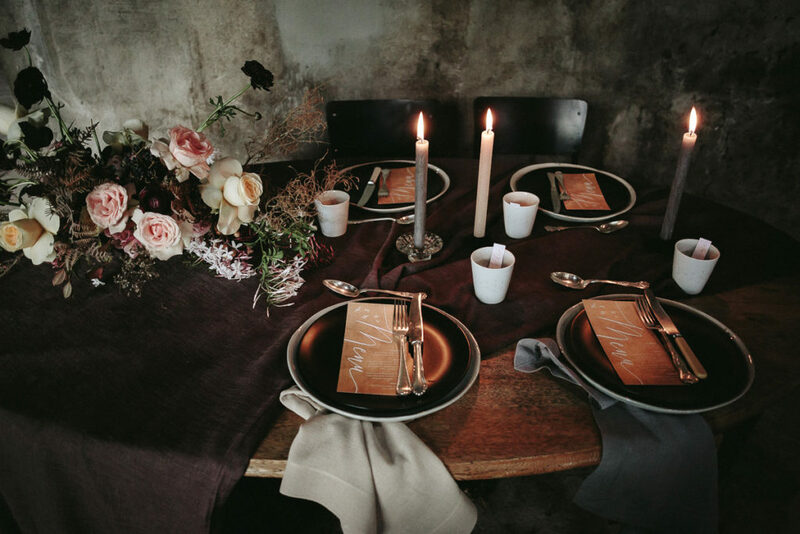 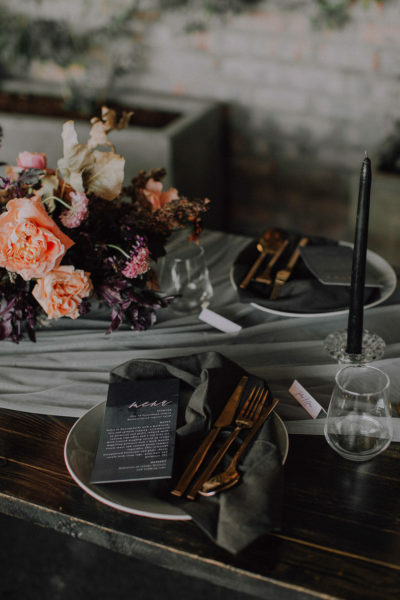 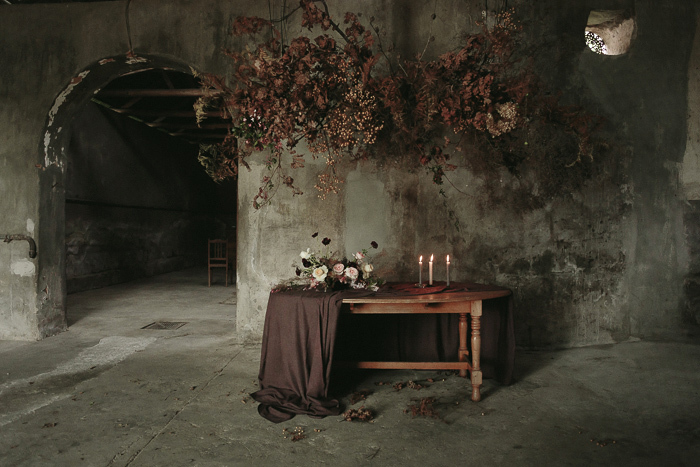 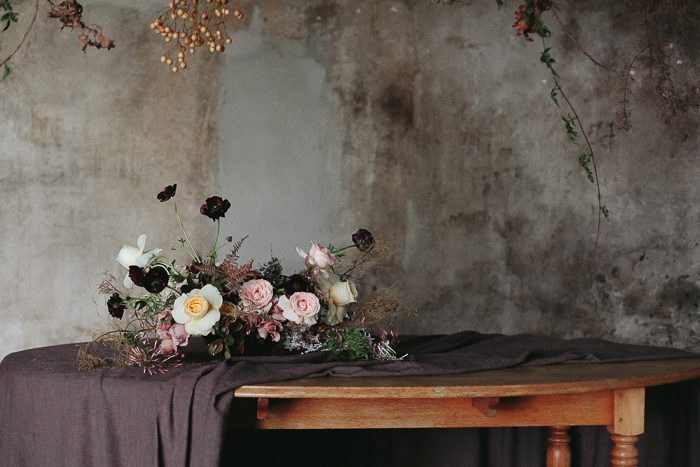 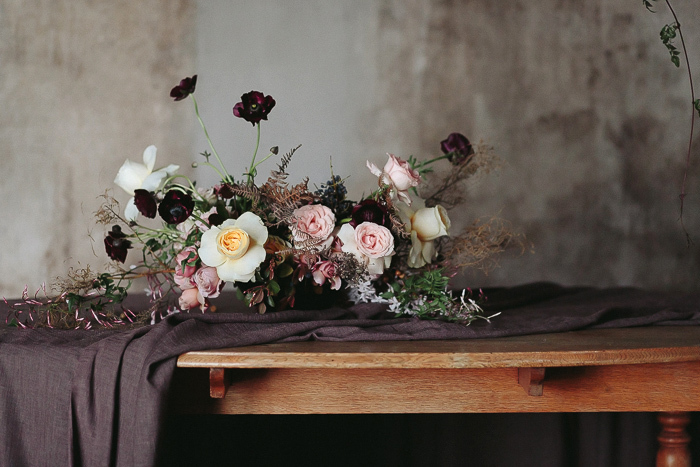 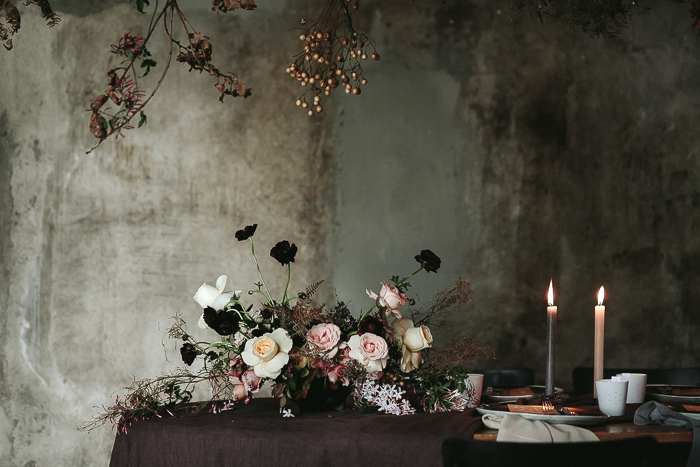 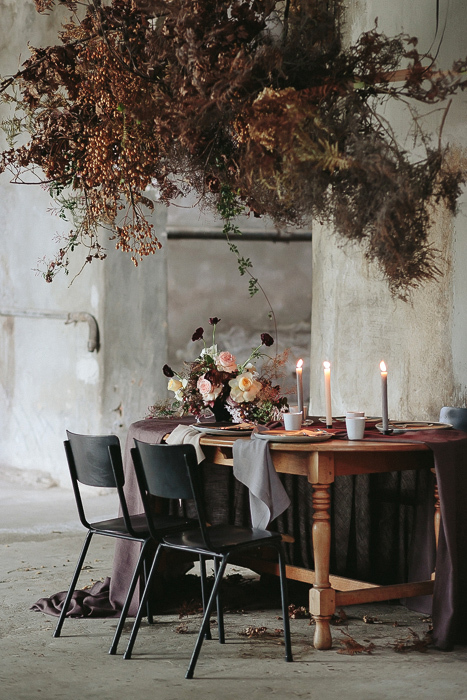 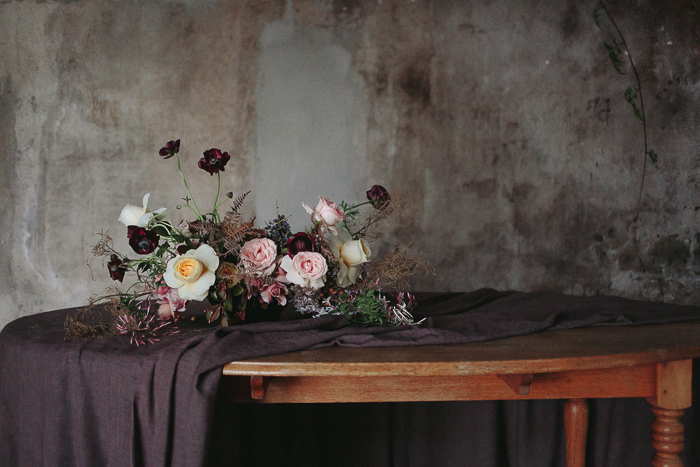 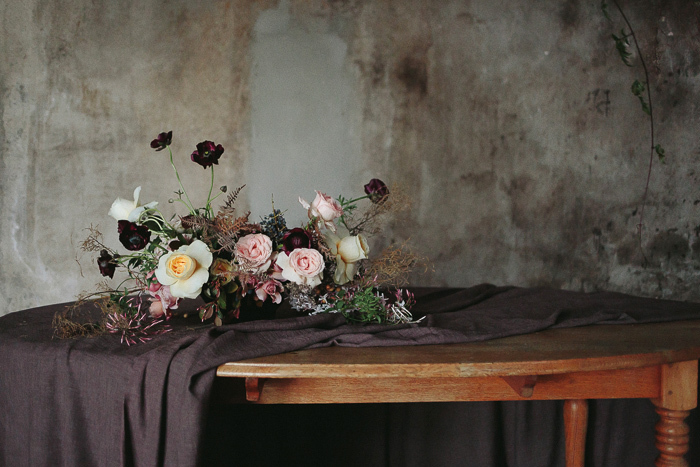 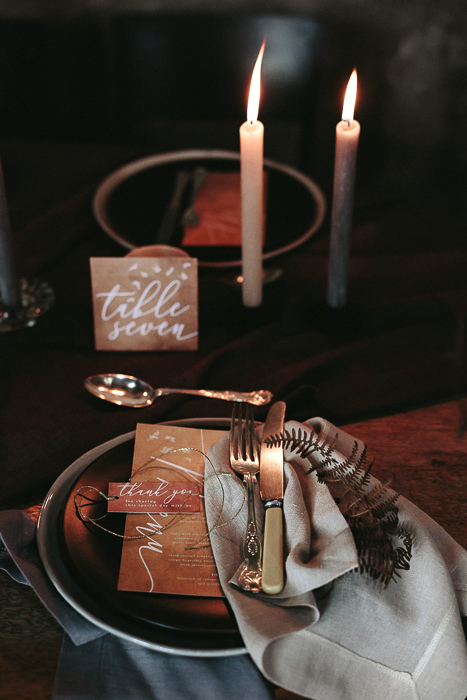 Our tablescape base was the mix of the natural wood of the table and the softer, moodier, dark charcoal tablecloth. 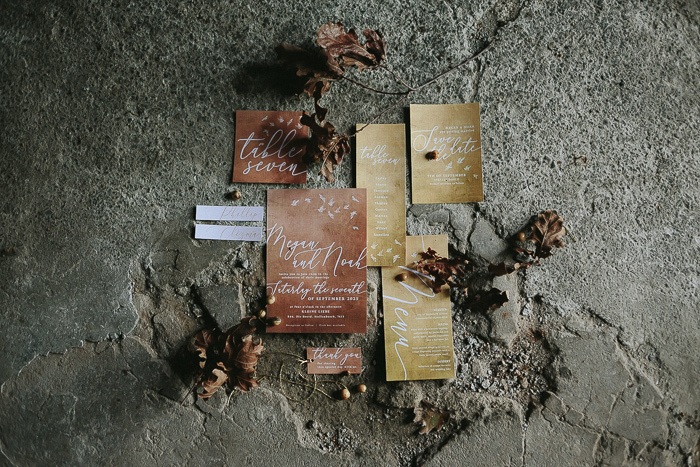 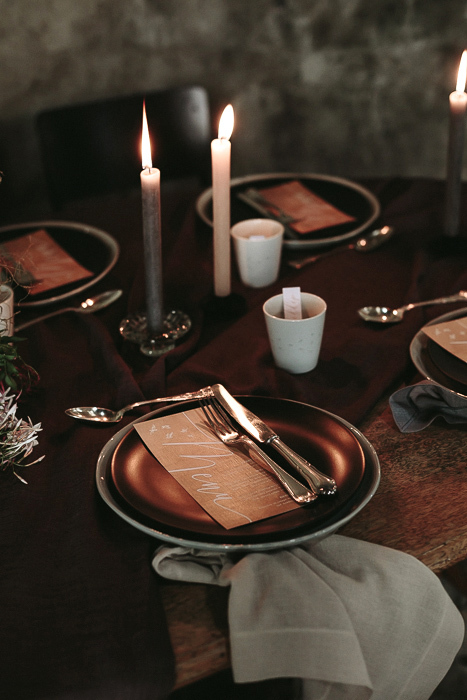 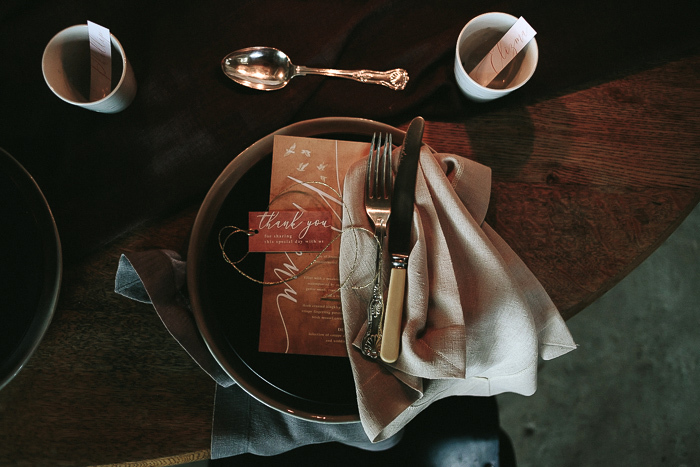 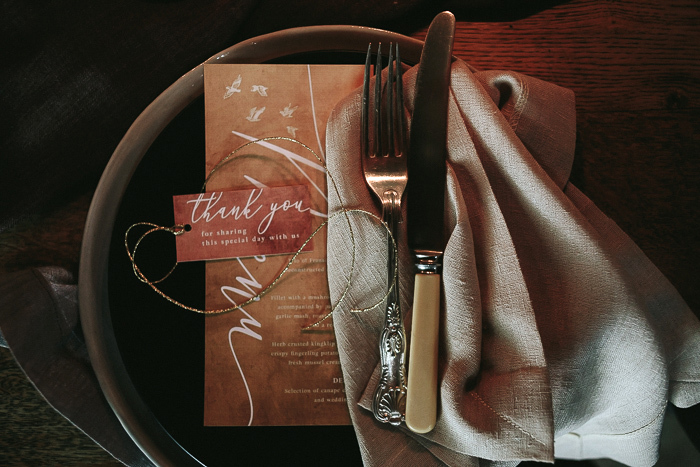 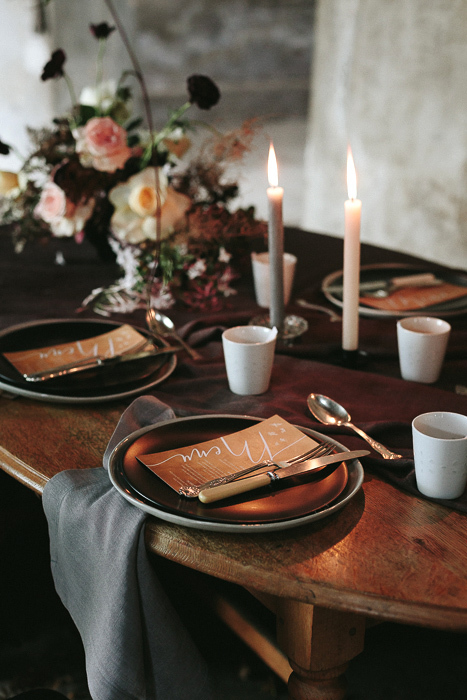 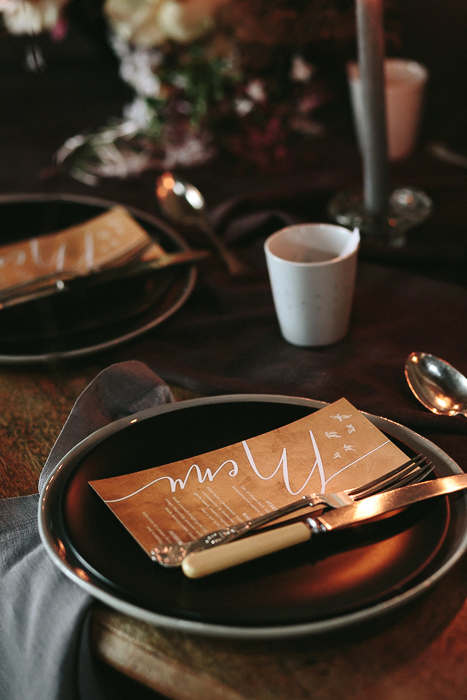 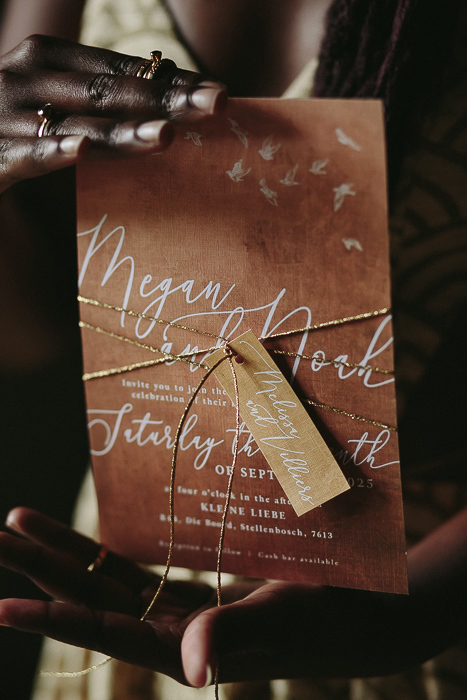 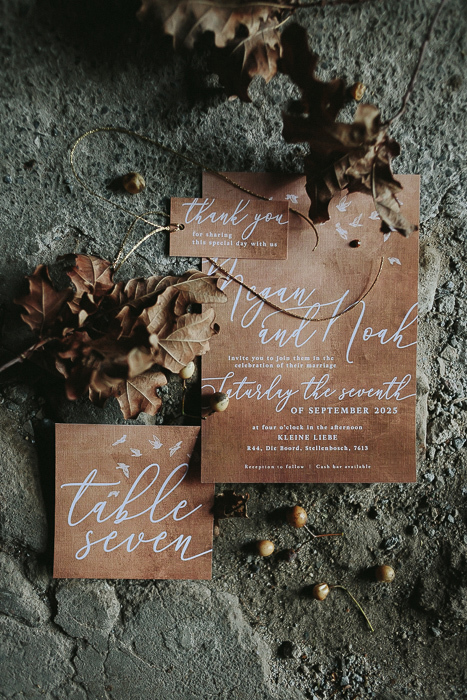 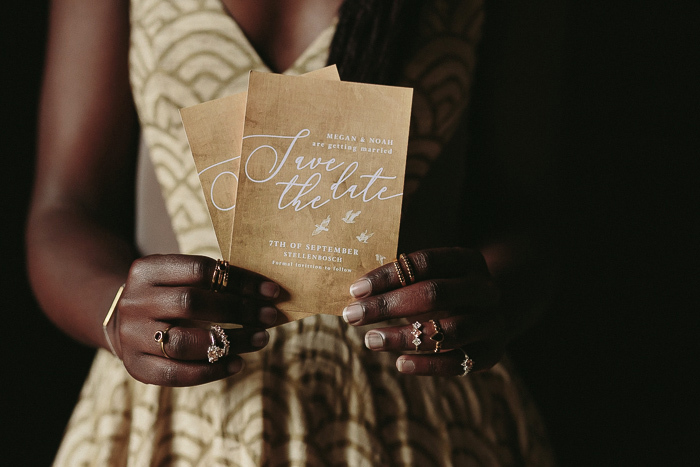 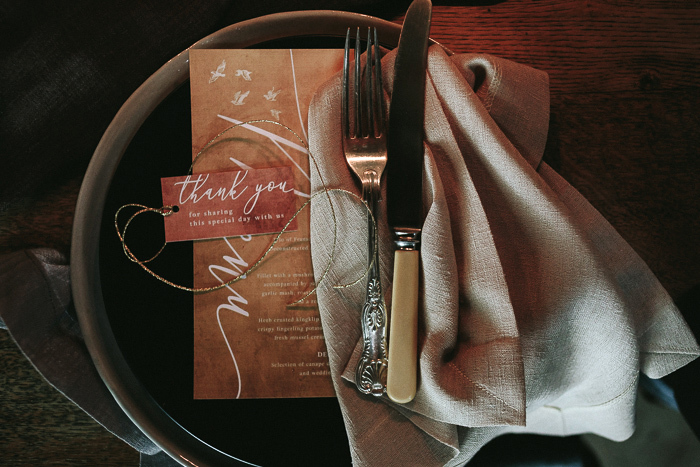 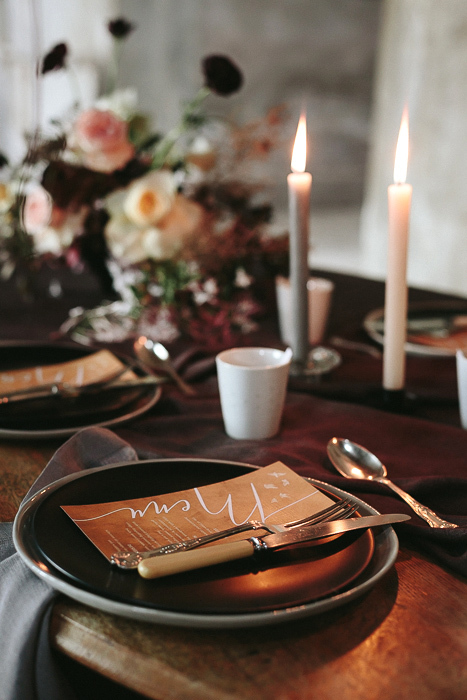 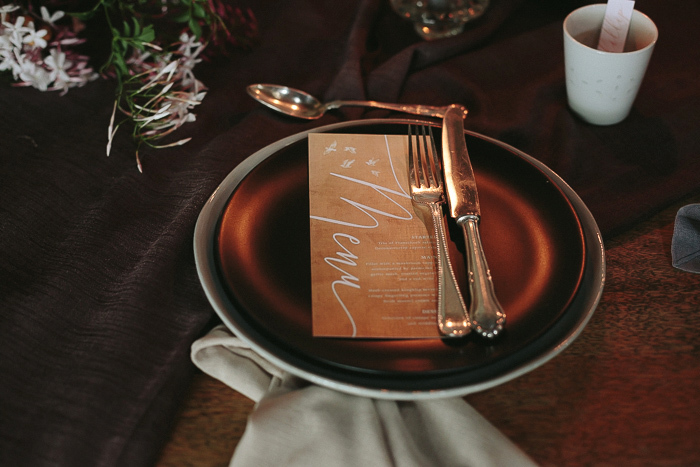 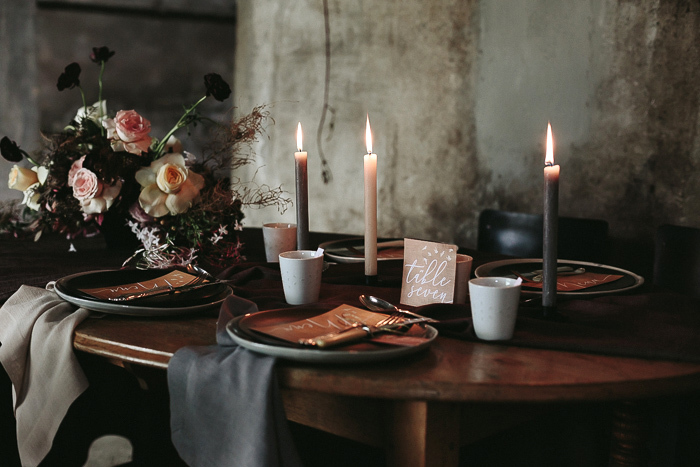 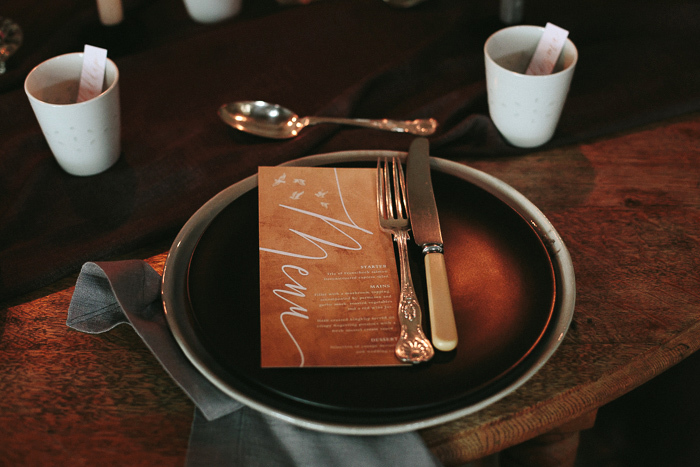 Black and gray plates served as soft layers and perfectly framed the natural colored stationary. 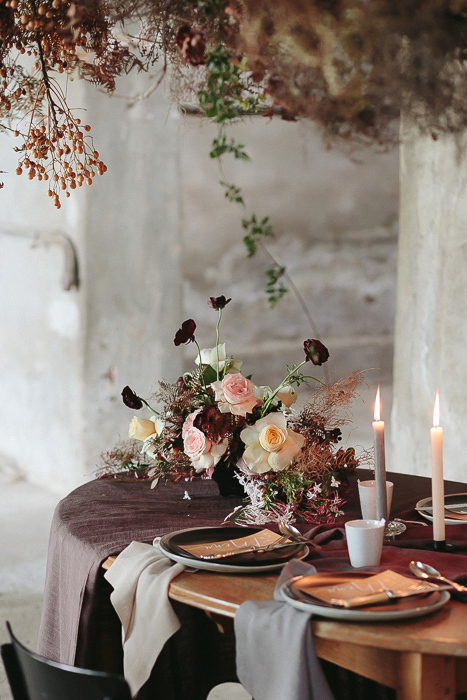 The flowers added softness to the tablescape. 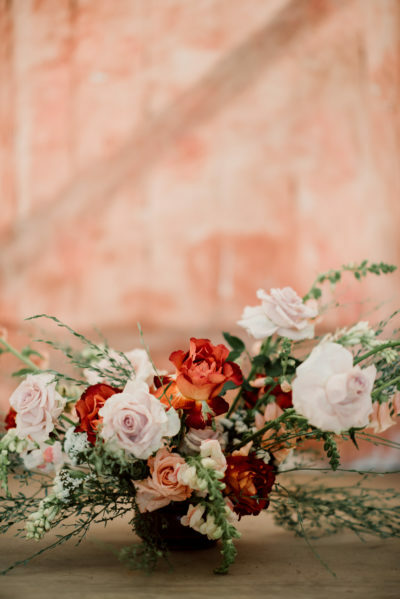 Butter yellow and blush garden roses, whimsy ranunculus, and fragrant jasmine made up the bulk of the flowers and were used in both the bridal bouquet and the table flowers. 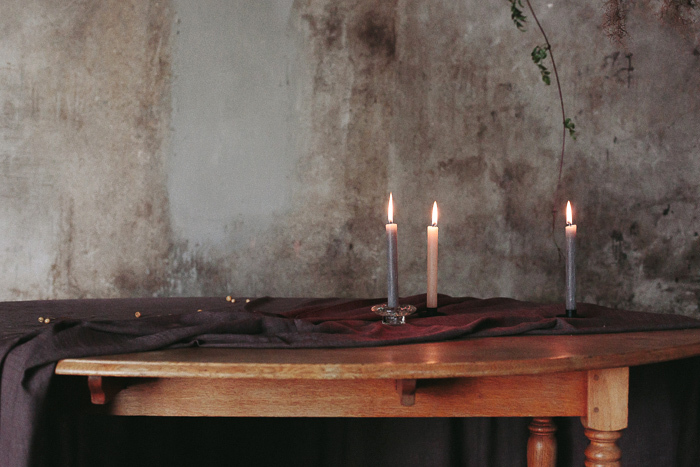 Natural colored candles with a frosted finish added more color and softness against the concrete wall. 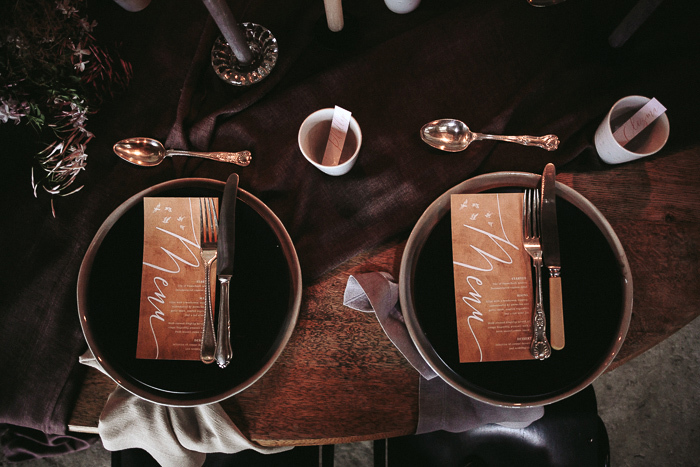 Final touches included gray and stone colored linen napkins and black schoolroom style chairs. 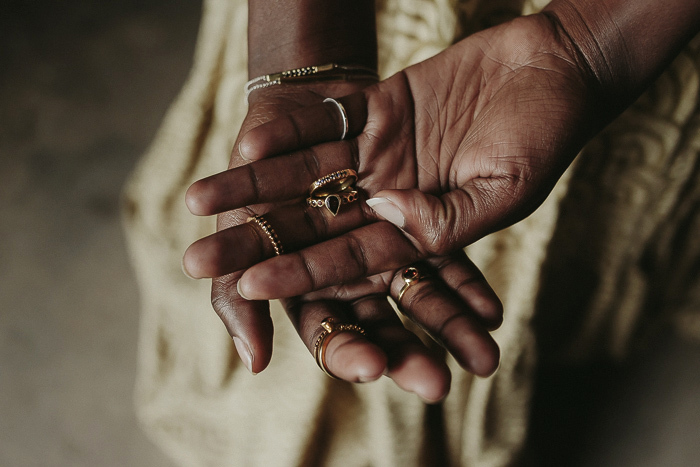 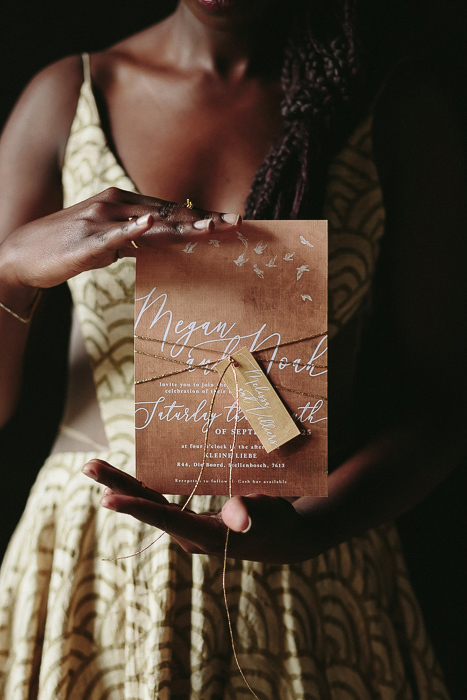 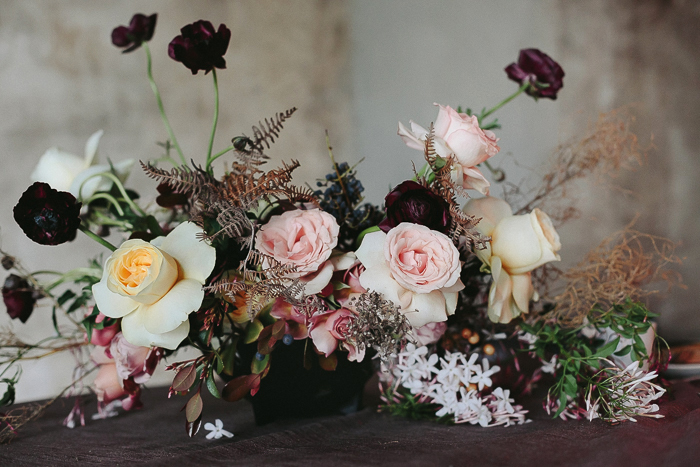 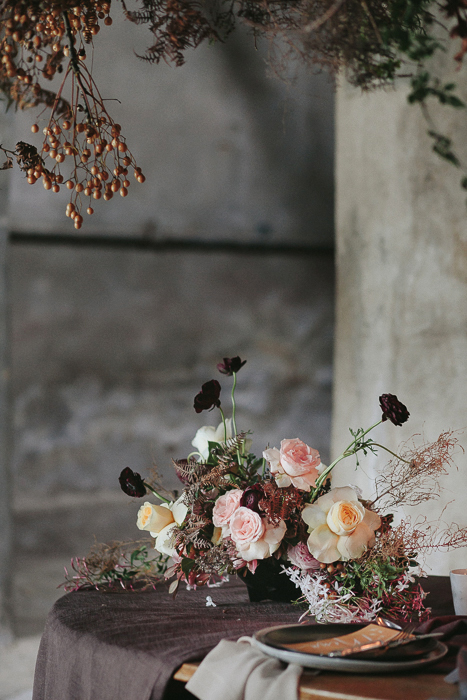 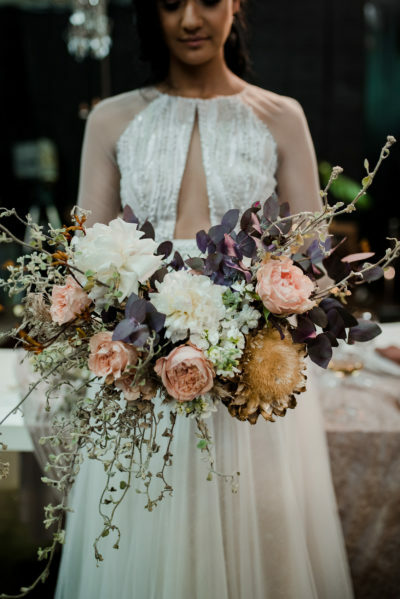 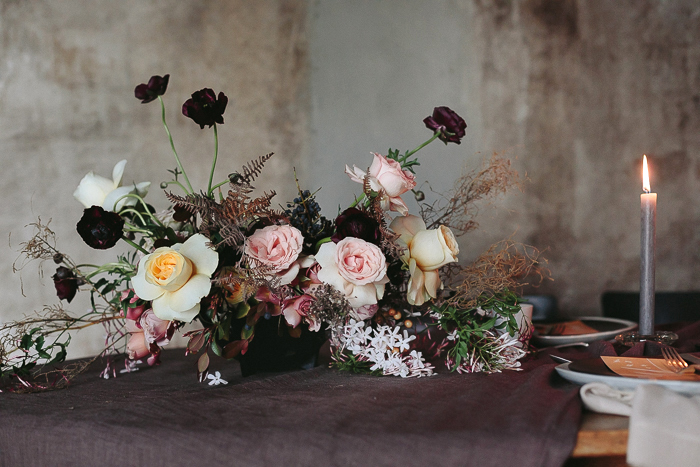 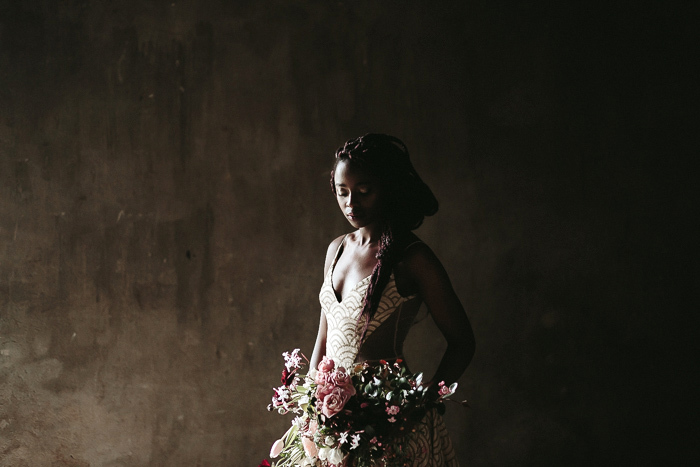 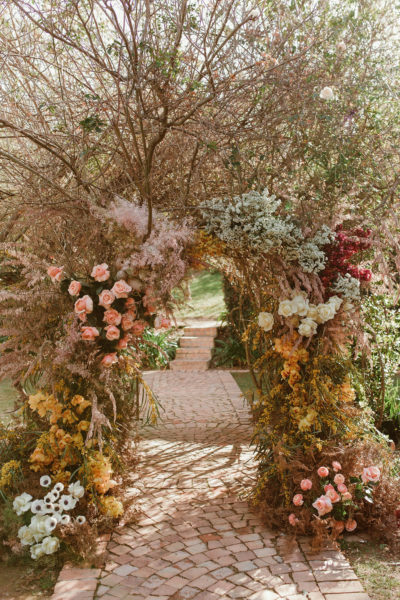 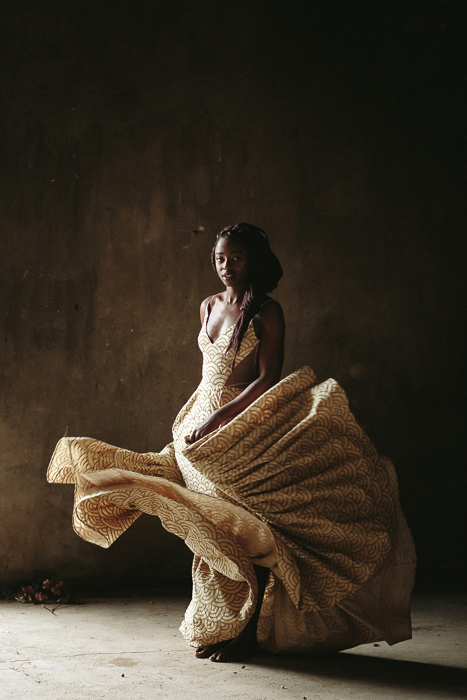 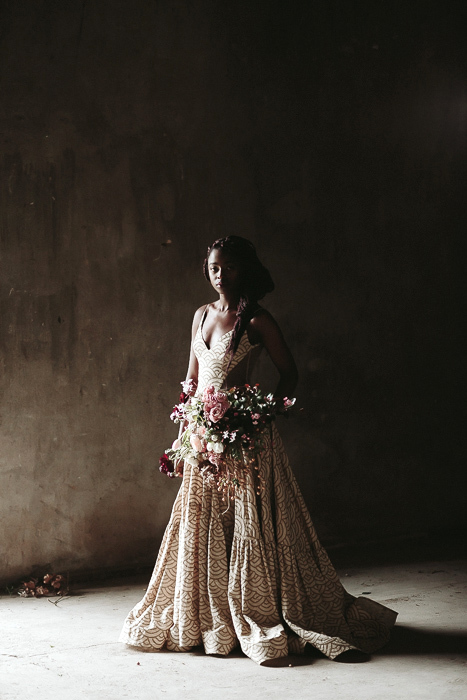 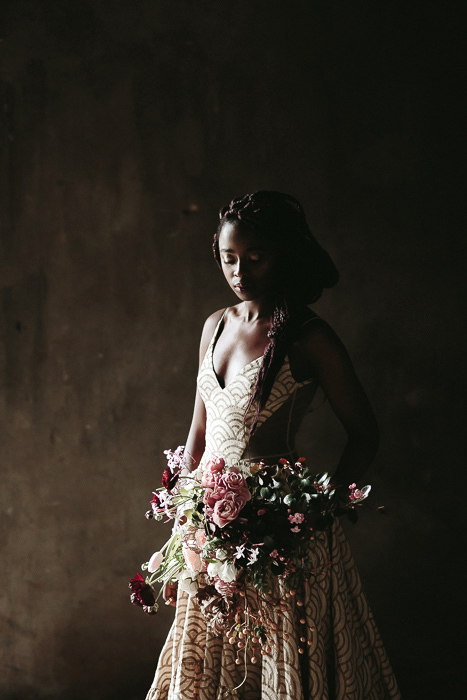 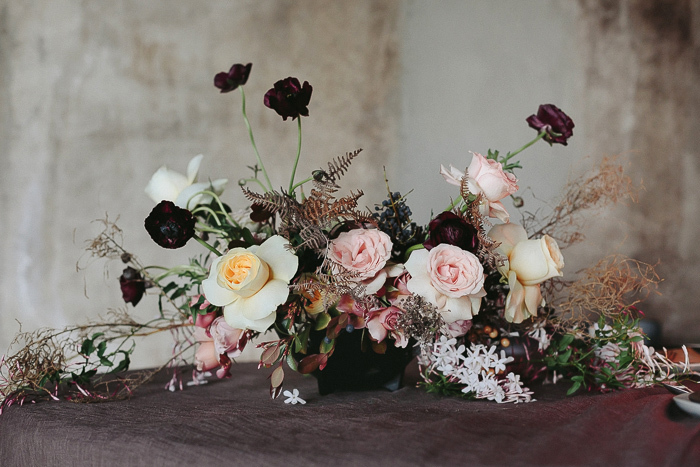 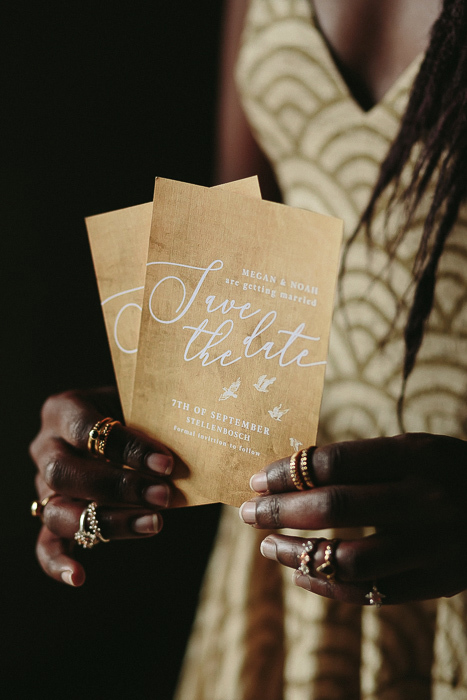 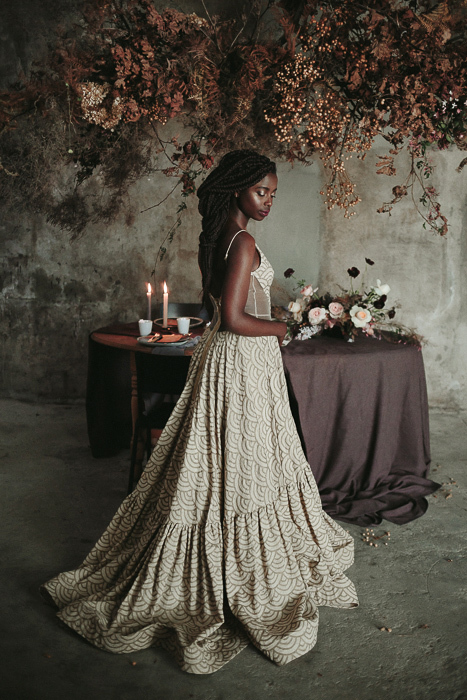 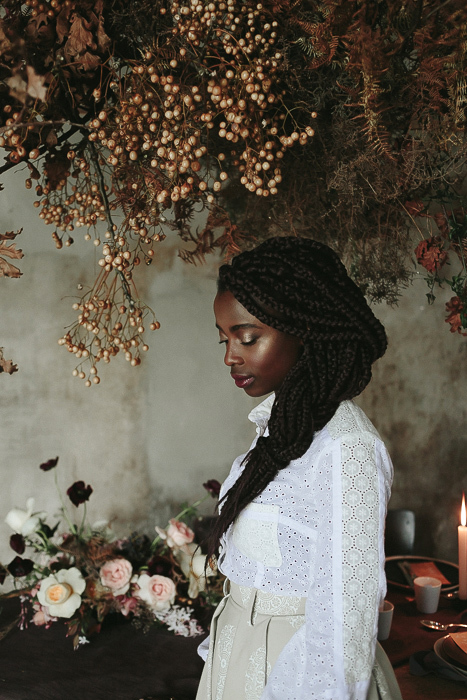 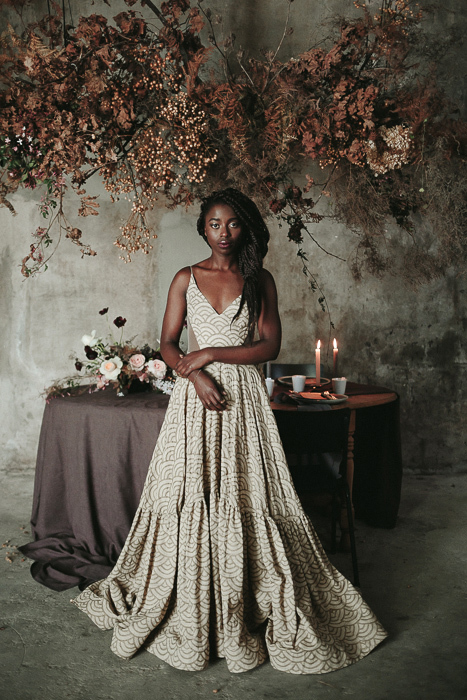 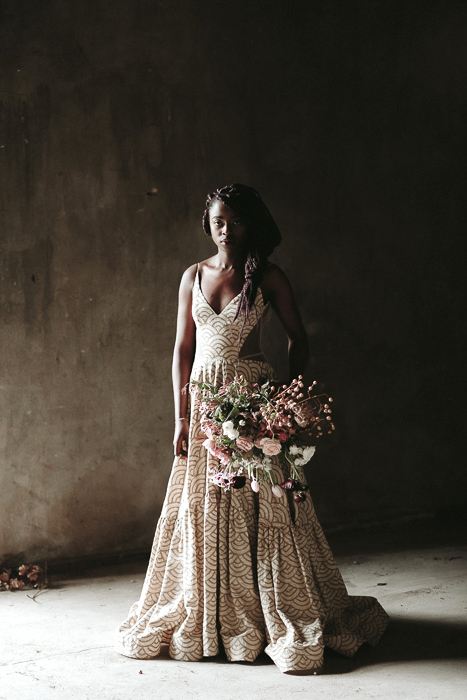 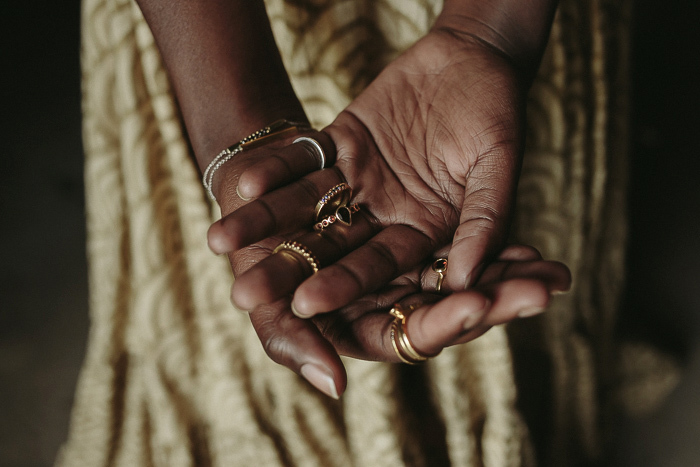 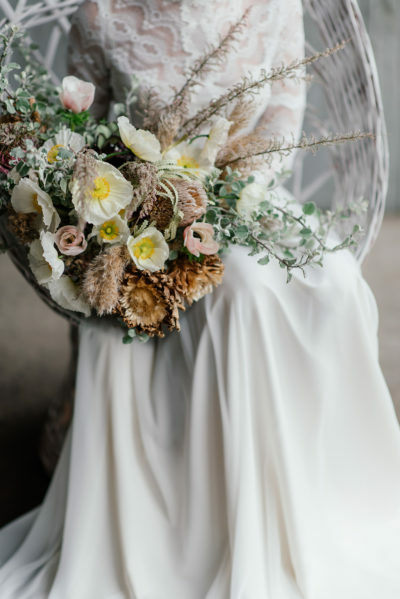 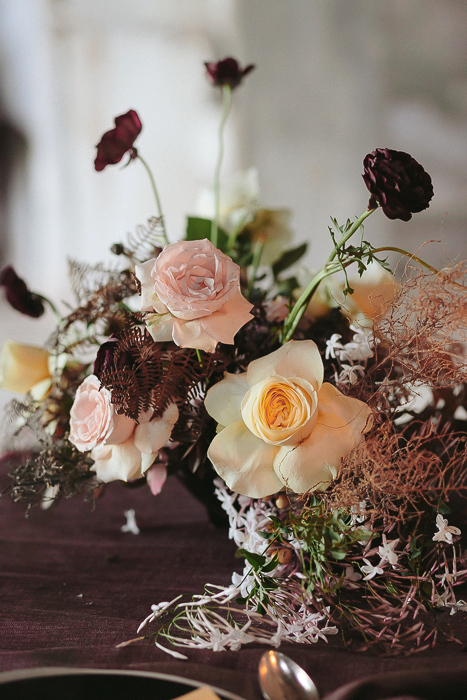 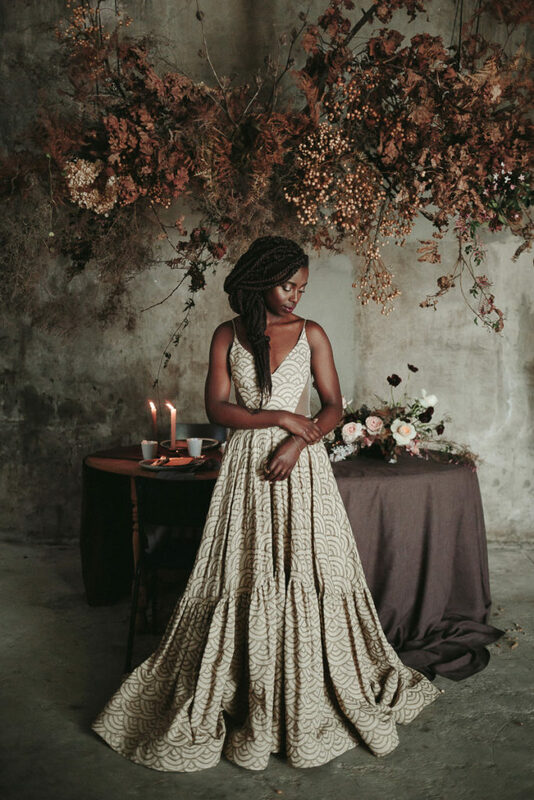 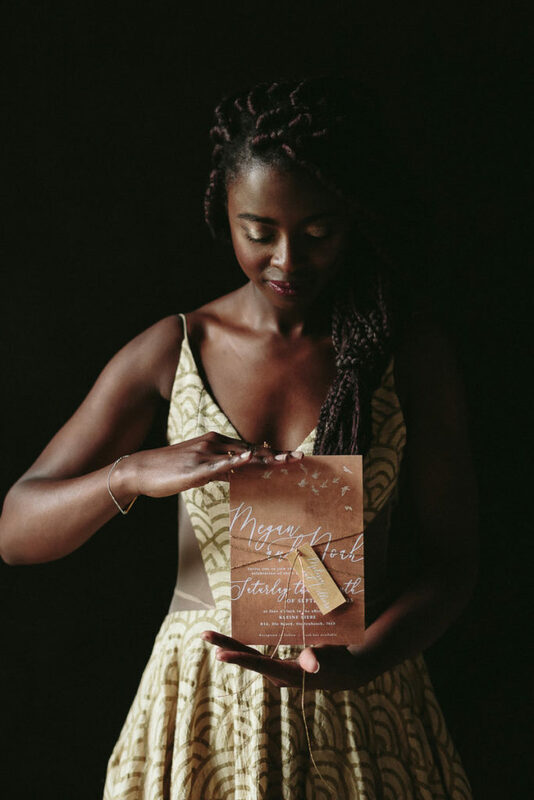 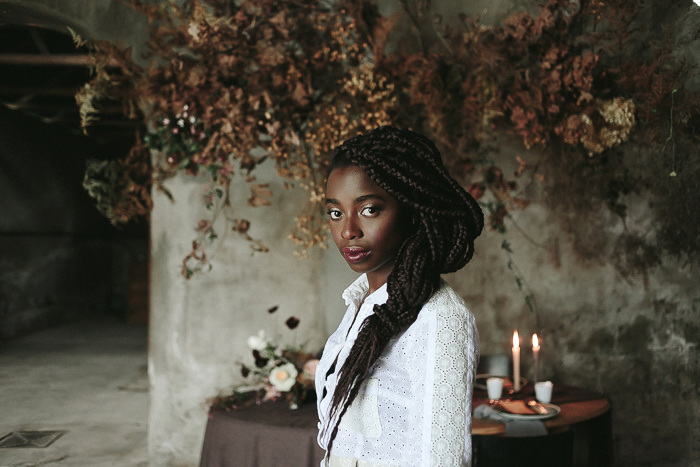 AND we got featured on OnceWed – go check it out here!